Doris (Campbell) Morral, age 99, a lifelong resident of Wellsboro, passed away peacefully on Wednesday, December 5, 2018 at the Green Home in Wellsboro. She was married to the former mayor of Wellsboro, the late Guy Morral, and they shared 48 years of marriage together prior to his passing in 1986. She was born on October 19, 1919, in Wellsboro, the daughter of the late Riley and Clarissa (Ludington) Campbell. Doris owned and operated Guy Morral Trucking, Inc. with her husband for most of her career. Prior to helping with the daily functions of her own business, Doris also worked at Borden’s Milk Plant and Corning Glass Works of Wellsboro. She was a longtime member of the United Methodist Church of Wellsboro and sang in their choir. She was also a member of the Wellsboro Business & Professionals Women’s Club and the Wellsboro Women’s Chorus. In addition to singing, she also played the piano and organ. Some of her other hobbies and interests included travelling, planting flowers and spending time with family and friends. Left to cherish her memory are her daughter and son-in-law, Phyllis and Paul Stafford, of Wellsboro; son and daughter-in-law, Gerry G. and Connie H. Morral, of Wellsboro; five grandchildren, Todd (Sue Rachael), Michael (Sabrina), Gerry W., Jeffrey, Jamie (Jennifer Manney); six great grandchildren, Taylor, Cayden, Ty, Danielle (Kyle), Caitlin and Nixon; brother, Ernest Campbell, of Elmira; sisters, Naomi Wetherbee, of Wellsboro, Shirley Sears, of Elmira, and Beulah Darling, of Titusville, FL; several nieces and nephews; and many dear friends. In lieu of flowers, memorial donations can be made to the United Methodist Church of Wellsboro, 36 Main Street, Wellsboro, PA 16901. Family and friends are invited to pay their respects on Tuesday, December 11, 2018, from 11:00 a.m. until 1:00 p.m. at Tussey-Mosher Funeral Home, Ltd., 139 Main Street, Wellsboro. 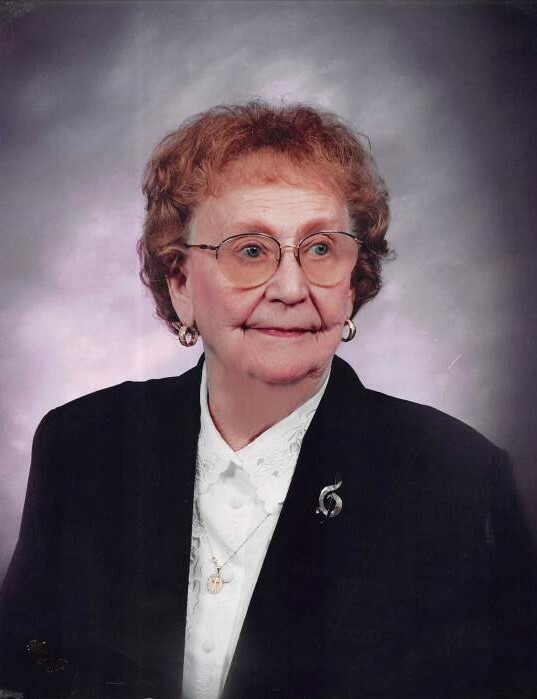 Doris’s funeral will immediately follow viewing at 1:00 p.m., with Pastor Rich Hanlon presiding. Burial will be held in the Wellsboro Cemetery. To share your fondest memories of Doris, please visit www.tusseymosher.com.